The exterior cladding that covers more sides of your home than any other material. Properly installed it serves much of the same functions as your roof to protect from the weather and animals but is unique in its task of insulating your home or business and adding to its aesthetic. 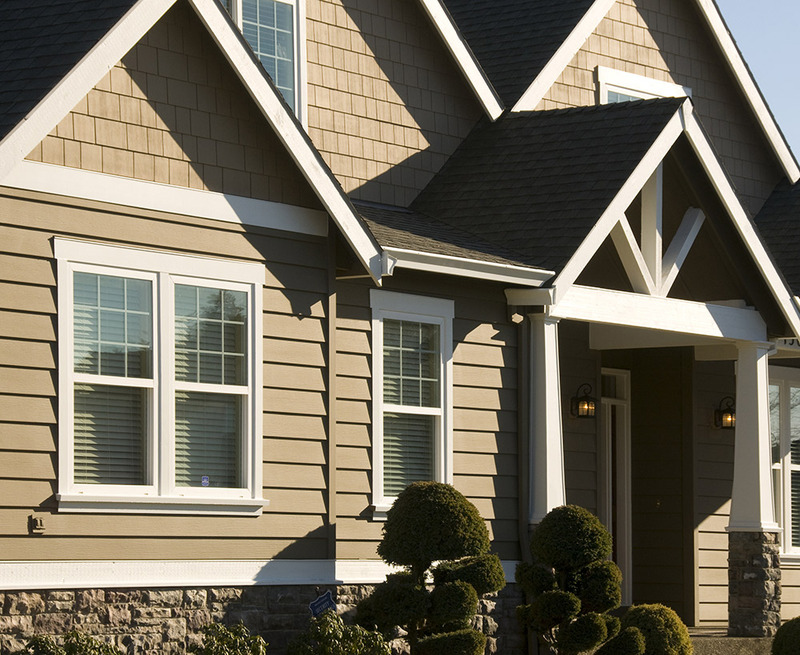 This is the most common style of siding that replaces the metal or wood siding that has been used for centuries, but it still keeps its beauty and texture. The look can be understated or distinctive with a variety of accessories that show your style and taste at a value that is guaranteed. Cement is used as the binder in this asbestos-free siding option that does not become brittle even sub-zero temperatures. Comparing its performance to other similarly priced materials, it’s no wonder that this material is increasingly popular on residential and commercial buildings. Colors and styles are available to meet your specifications. Wood in its many shapes and forms and slate shingles beautify any structure naturally. Metal, both in aluminum and steel, can be the best solution for large or commercial buildings. Discuss your needs and tastes to find out how to get your best look and function.